In the same week, United and Delta both unveiled a rewards credit card with no annual fee. 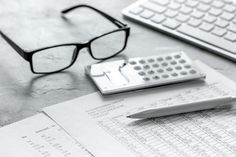 While both airline credit cards do not charge an annual fee, you may be better offer applying for a limited time offer or for a rewards cardwith better perks. But if you have your heart set on a no annual fee airline card there are some noticeable differences between the new United & Delta cards. Discover the similarities and differences between both of these new no annual fee airline credit cards. Neither the United TravelBank Card or Blue Delta SkyMiles Credit Card charge an annual fee so it’s safe to assume there are no additional fees, right? Wrong! 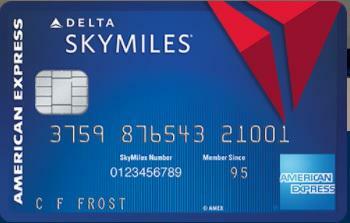 The Blue Delta SkyMiles Credit Card has a 2.7% foreign transaction fee. If you only travel domestically, this fee won’t affect you. However, you could be better served with a no foreign transaction fee credit card if you plan on flying internationally with Delta. There is no foreign transaction fee with the United TravelBank Card. Whether you plan to use the no-fee United airlines credit card as your primary or secondary travel rewards card, you can truly take it on any trip and not be charged any hidden fees. 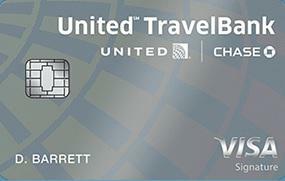 Winner: United TravelBank Card for being a true no-fee credit card. The United and Delta no annual fee credit cards earn points on every purchase and both earn bonus points on airline purchases. You will also receive a statement credit for in-flight purchases with both cards. There are no limits to how many SkyMiles you can earn each year in any spending category. The United TravelBank Card is different from the other United credit cards. Instead of earning MileagePlus award miles on every purchase, you earn cash back that can be redeemed for cash discounts on United flight purchases. Like the Delta Blue Amex, there are no annual earning caps on any rewards category. The better purchase rewards hinges on what you are looking for in an airline credit card. Beyond your preferred carrier, United or Delta, you need to compare the tiered rewards to your existing credit cards to see if you might use the card for non-airline purchases. The United TravelBank is a hybrid cash-back airline rewards credit card. Instead of earning 2 United miles for every dollar spent like its annual fee siblings, it earns 2% cash back. 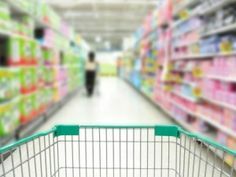 It also earns 1.5% cash back on all non-United purchases which are comparable to the leading cash back credit cards including the Chase Freedom Unlimited and Capital One Quicksilver. On the flip side, the Blue Delta SkyMiles Credit Card is very similar to the other co-branded Amex Delta credit cards as you earn two SkyMiles on every Delta purchase. If you enjoy visiting restaurants, the Blue Delta Amex is the only Delta Airlines rewards card that earns bonus SkyMiles on dining purchases. But you do lose premium benefits like priority boarding and free checked bags which the other Amex Delta cards offer.